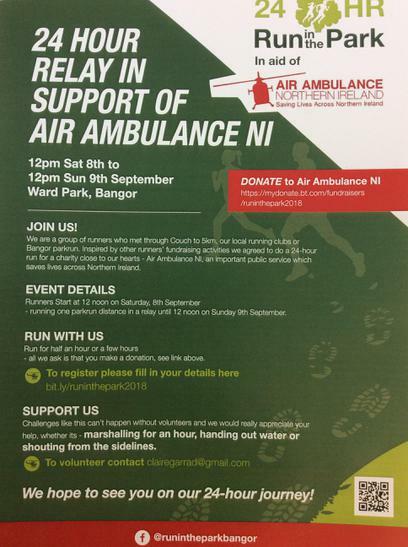 This Saturday starting at 12 noon the Air Ambulance charity will be hosting a 24hr run in Ward Park. Dr Monaghan, a parent in Towerview, is a member of the Air Ambulance crew and we would love to give the charity as much support as possible. Please come along with an adult and join in. Whether you run around the course for 10 minutes, 1 hour or 10 hours you will be very welcome.